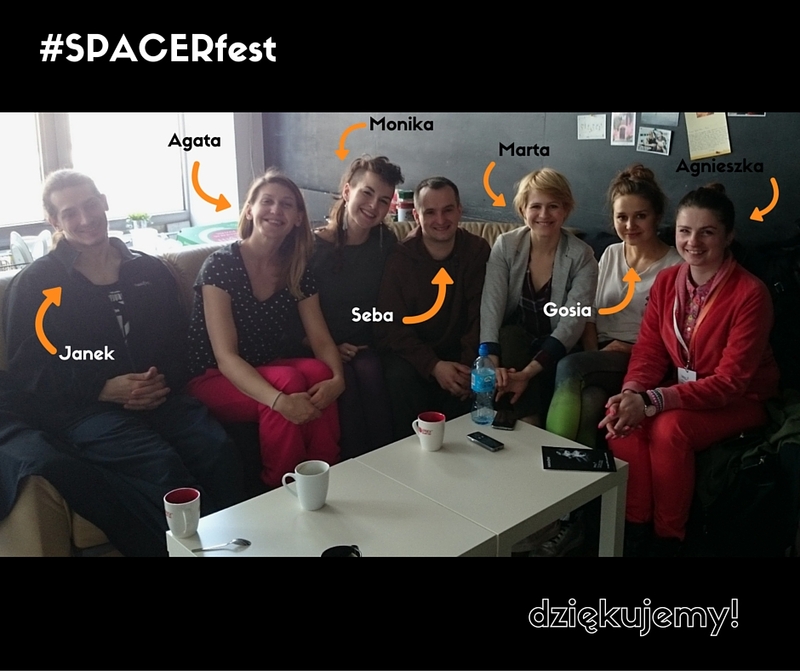 5th edition of the Contemporary Dance Festival SPACER came to an end. We would like to thank all teachers of CIAŁOWANIE: Gosia Mielech, Sebastian Gębura, Janek Dudek, Dawid Dec and the entire Du’k’to Company for their knowledge, energy, challenge and smile. Our festival wouldn’t have happened without participants of workshops, magnificent artists, the whole audience, our partners, volounteers, technical team and all the good souls of Krakow Choreographic Centre. If you would like to share your own impressions, comments, suggestions for the coming years, we will be very grateful for the contact e-mail at: kcc@nck.krakow.pl.